Looking at the professional journey of Andres Martinez, it’s easy to see why CNET en Español named him one of the Top 20 most influential Latinos in technology in 2015. During is remarkable 28-year career in technology, which included stops at some of Silicon Valley’s most iconic companies, he has steadily built and mastered a skill set that has made him an expert at building, leading and managing global engineering teams. He’s also proven he can thrive in diverse environments ranging from spaceflight programs to consumer product R&D to scientific research and information technology. In his current role as a spaceflight program executive for NASA, Mr. Martinez is responsible for lunar missions using small satellites, the SPHERES facility aboard the International Space Station, the Astrobee free-flying robot development, as well as defining NASA’s strategic plan for future projects with missions to deep space and strategic collaborations with other federal agencies and foreign countries. Born in Mexico, Mr. Martinez and his seven siblings moved to Los Angeles when he was 10, settling in Echo Park. When his teachers recognized his math and science skills, he joined the gifted class and began learning computer programming skills in the 4th grade. While at East Los Angeles College, Mr. Martinez met and married his wife, Olga. Soon he transferred to Cal Poly, Pomona, where he completed his B.S. degree as the only Hispanic in his class, all while working fulltime to support his new family. Soon, he was offered a job with Xerox and moved to Silicon Valley where, in a pivotal moment in his career, he quickly moved from engineering to software development. During his 10-year career at Xerox, Mr. Martinez held positions as a workflow systems engineer, platform development manager, and engineering manager before spending his last two years at the world-renowned Palo Alto Research Center. He and several colleagues took an R&D software project they developed at PARC and created a spin-off called, GroupFire, which grew to 50 employees and multiple customers before being acquired by Google in 2001. After GroupFire, Mr. Martinez moved to at Lawrence Livermore National Laboratory and then Motorola before joining NASA in 2007. While at Ames Research Center, he’s been the lead for the Constellation Program Data Systems for both the software development and systems engineering teams. During his 11 years at NASA, Mr. Martinez has worked on a variety of projects, including many focused on small satellites. Before his most recent position he was the program manager for the Small Spacecraft Technology Program, responsible for seven spaceflight projects, five of which have been already been launched into space. As the chair for NASA’s Hispanic Advisory Committee, Mr. Martinez leads efforts to support Latin America as the technical point of contact. He’s spearheaded NASA’s participation in STEM initiatives in Lima, Peru and Medellin, Colombia, and numerous times across Mexico. 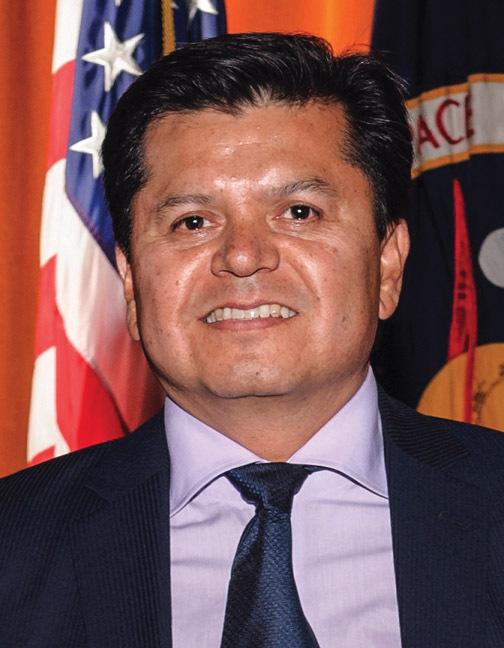 In 2012, he began working with the Mexican Space Agency to establish a Space Act Agreement to bring students from Mexican universities to NASA Ames Research Center for internships. In 2015, he authored a Space Act Agreement with Mexico to design, build, and operate a small satellite space mission. In this project, he leads a group of NASA engineers that are mentoring a team composed of engineering students and professors in Mexico. His vision is that this generation of engineering students will launch the space industry in Mexico, which in turn will lead to new startup companies, and thousands of jobs.